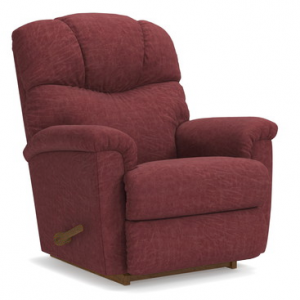 La-z-boy Harbor Town Reclina-Rocker Recliner. 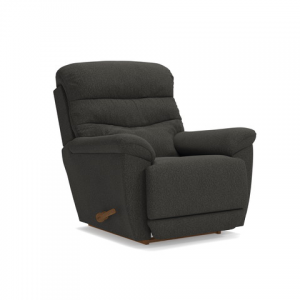 Designed to be the perfect fit for smaller spaces, the Harbor Town recliner offers plenty of soothing rocking and reclining motion. Featuring a channel-stitched back, softly shirred fabric, and padded bentwood arms. 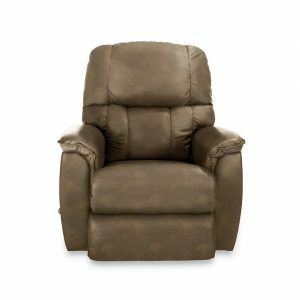 Upgrade to the Reclina-Way® feature and fully recline just inches from a wall, or check out the Reclina-Glider® Recliner and spin 360 degrees. Available in a wide selection of custom fabrics and leathers. 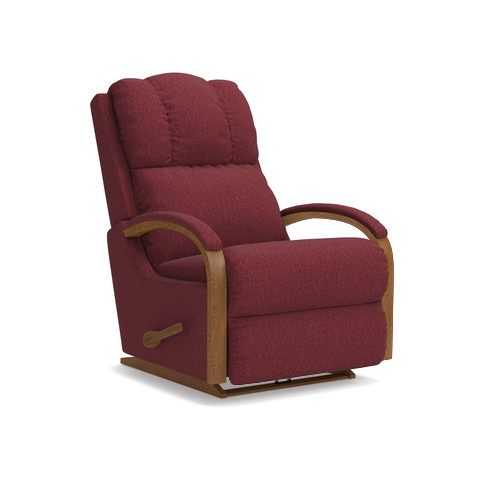 See the complete Harbor Town line for more reclining options.